In the unique concept of the four-level restaurant Sea.Fire.Salt.Sky of the Anantara Resort Kihavah, the crown for the most remarkable location takes Sea. Anantara. In Sanskrit it means “without end” and refers to the freedom of movement and harmony. 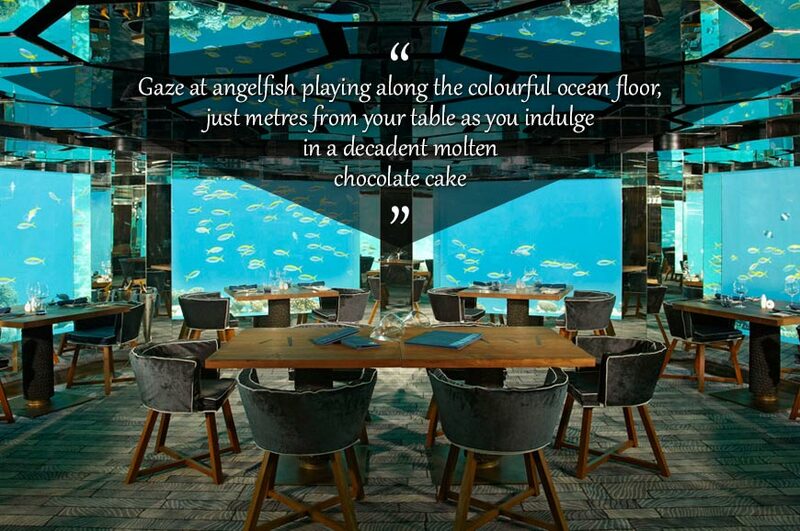 This special harmony is evident in the unique concept of four-level restaurant, called Sea.Fire.Salt.Sky. Each level offers a different taste and cuisine, atmosphere and location. Fire is a teppanyaki lounge, inspired by Japanese cuisine. Salt specializes in creative food and unusual taste experiences (fried sea bream on the block the Himalayan salt anyone?). Then at the very top is the Sky., a rooftop bar with views of the island, serving drinks and cocktails in a romantic setting and refined atmosphere. Crown for the most remarkable location takes Sea, an underwater restaurant. 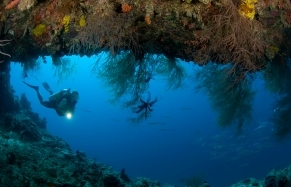 Menu here is varied—mainly the Mediterranean, but there is also a large collection of fine wines, from the cellar, also underwater. 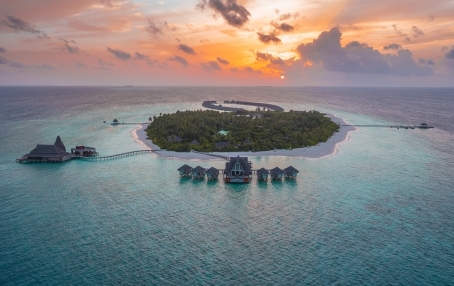 Kihavah Anantara Resort in the Maldives is a half hour seaplane flight from Male International Airport. 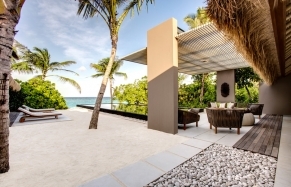 All the elements of a Maldivian luxury resort.